This article will show you where to install a custom HTML template. 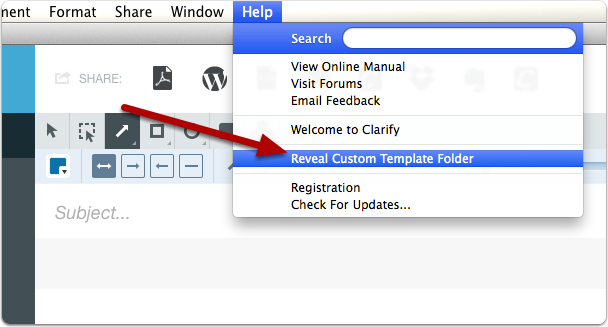 From the Clarify Help menu, select Reveal Custom Template Folder. The custom template folder is where you install any custom templates that you want to add to Clarify. In this example I am on OS X so the folder is located in the user Application Support folder. For HTML templates, you are interested in the HTML folder. Place the folder containing the custom template you want to install in the HTML folder. 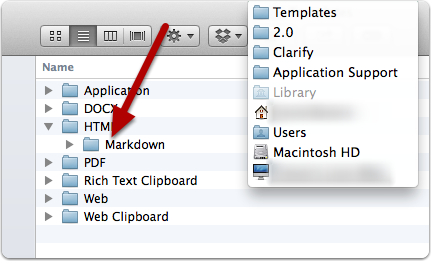 In this example I'm installing a custom template named Markdown. Once you relaunch Clarify, you can now use your template. For example, you can assign your template to a sharing account. 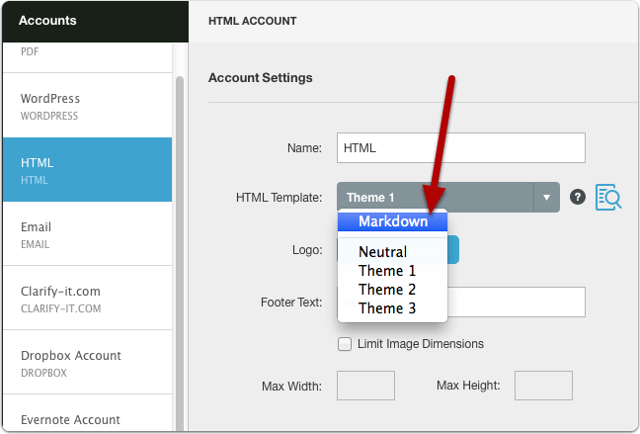 Launch Clarify, select or create an HTML Sharing account, and choose your template from the HTML Template menu. 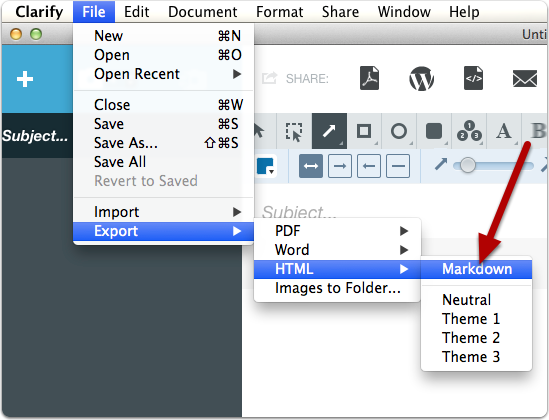 Your template will also be available from the File > Export menu. Can I trigger other apps in Clarify? @HH Clarify does not have a built-in way to trigger other apps.